Mark Coleman has practiced Buddhist meditation since 1984. He is on the Spirit Rock Teachers Council, and has been teaching Insight Meditation retreats since 1997. He also leads wilderness meditation retreats from Alaska to Peru, integrating mindfulness meditation with nature. 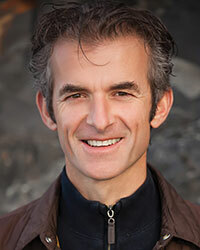 Mark is a psychotherapist, life-coach, and mindfulness consultant to corporations. He is an avid outdoor enthusiast and passionate about combining the forces of meditation, silence, and nature. Mark's books include Awake in the Wild: Mindfulness in Nature as a Path of Self-Discovery and Make Peace with your Mind: How Mindfulness and Compassion Can Free You from Your Inner Critic.